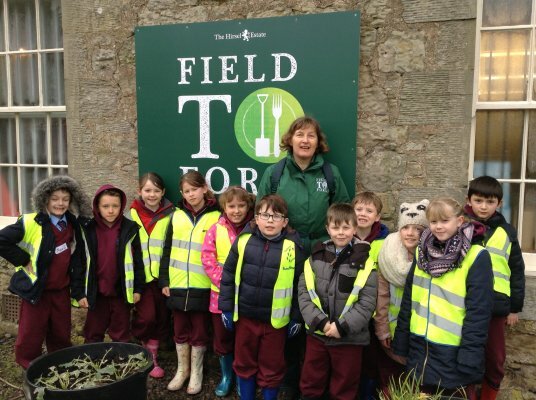 Field to Fork is an unique outdoor learning experience for primary school children and young people’s groups at the Hirsel, Coldstream. 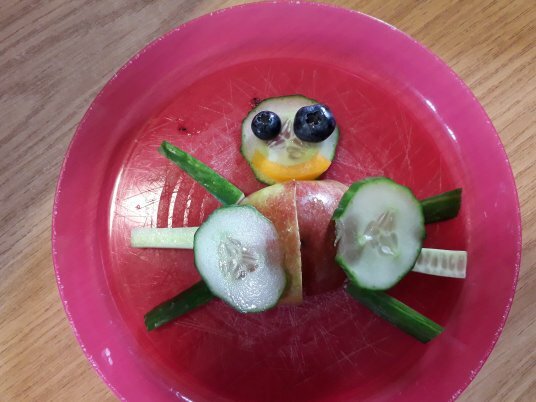 Come on a FREE visit and have your youngsters explore where their food comes from, discover how it is grown and be inspired to cook and eat healthily while enjoying being in an outdoor environment. 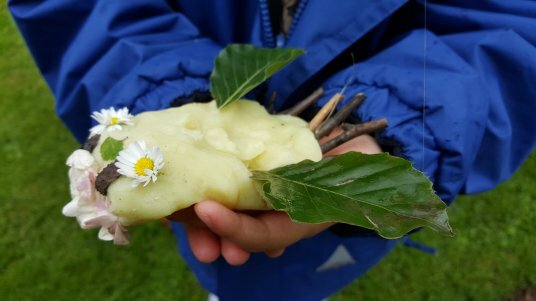 As well as our regular Food and Farming days which include a cooking activity, we offer In the Wild Days where both sessions are outdoors. taking home their cooking to share at home! 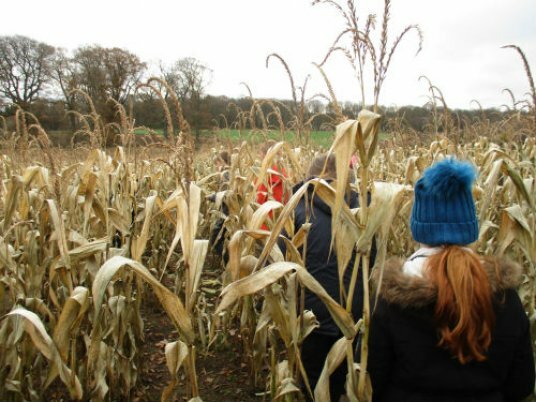 Through the seasons we will be watching our crops grow, getting lost in the maize, seeing new life burst forth and hunting for mini-beasts and seeds in the woods of the Estate. 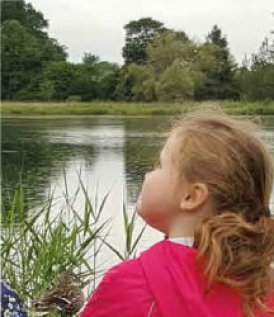 Share these experiences with your children with us! 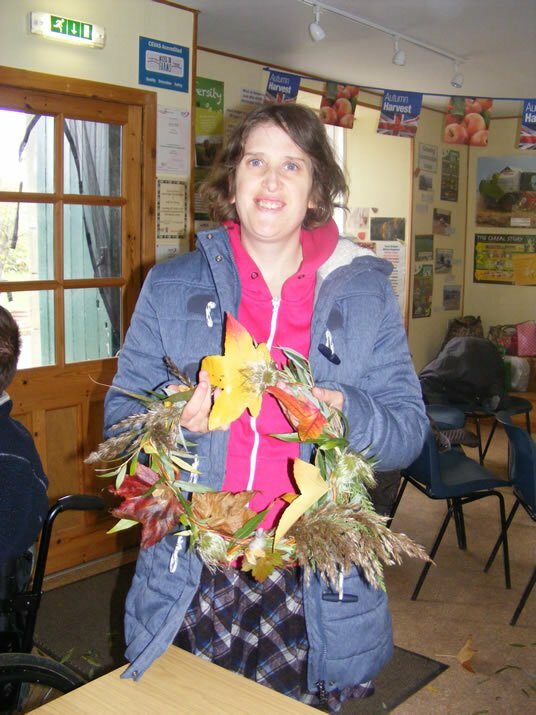 Sadly Karen is no longer with us at Field to Fork as she and her husband moved to the west coast at the start of the year. Over the last year her cookery expertise has been much appreciated and she will be greatly missed - we hope she enjoyed her time with us! 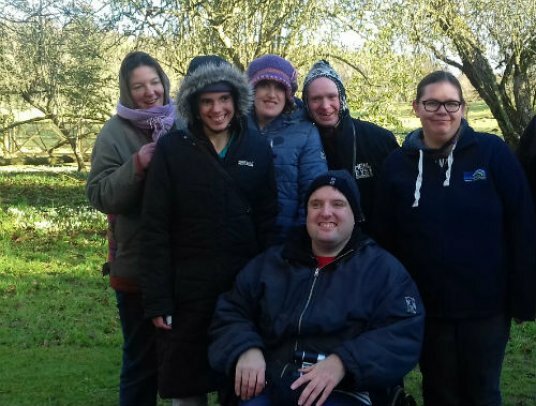 We are now excited to welcome Jane, Stephanie and Jan who will share the assistants role meaning it will not be such feast or famine for them and give the project more flexibility. 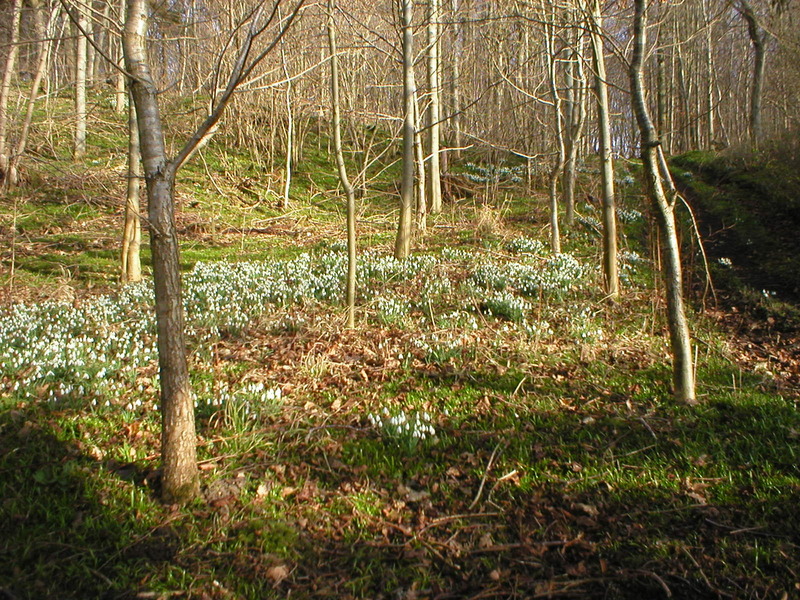 The weather is being amazingly open this winter with the ground now carpeted in snowdrops, aconites and crocuses around the estate and the first little highland calves born. 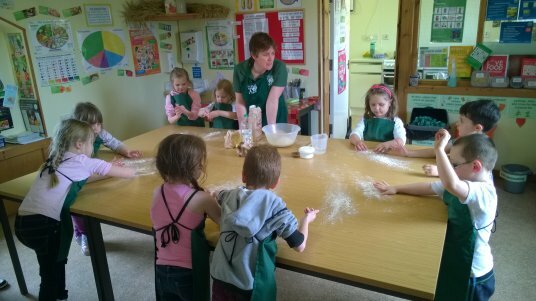 However most of the Field to Fork activity is visiting classes in school where we have been exploring Food from Scotland and cooking kale soup or making oatcakes. It is so rewarding to see the delight on the youngsters faces when they have their own oatcakes to take home or find a new taste they like. We are thrilled (as you can see!) 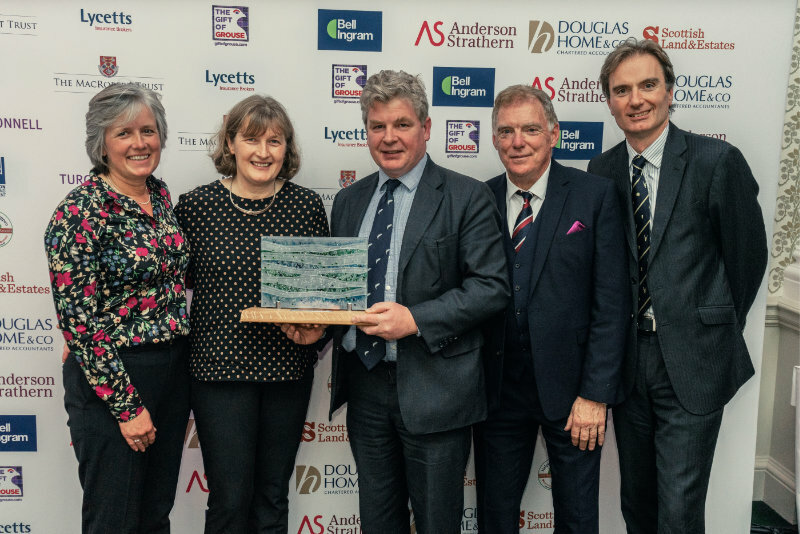 to have been announced winners of the Scottish Land and Estates 2018 'Helping it Happen' education award at a ceremony held at the Balmoral Hotel, Edinburgh recently. 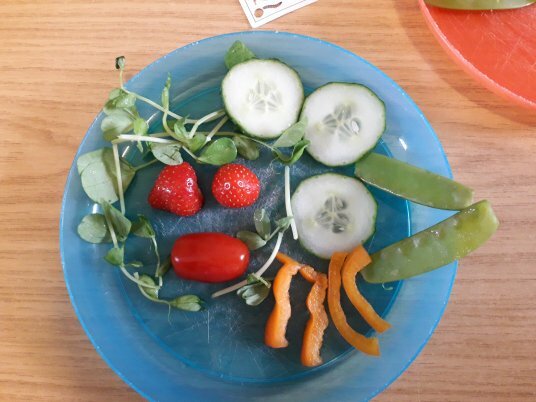 We have always been very proud of what we offer at Field to Fork but it is fantastic to have the huge commitment of the Estate, who fund this project, acknowledged at a National level. 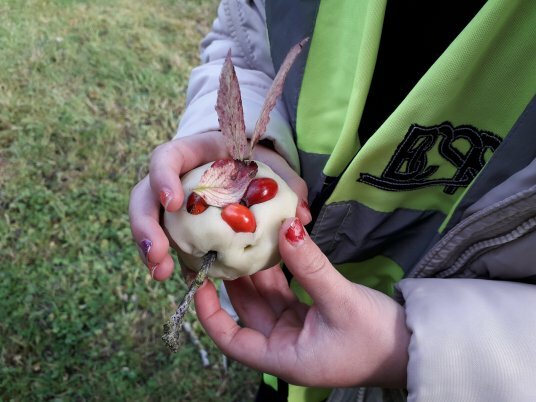 We are grateful to schools for their support and hope we can continue to develop what we do in order to connect more children to what goes on in the countryside and where their food comes from. 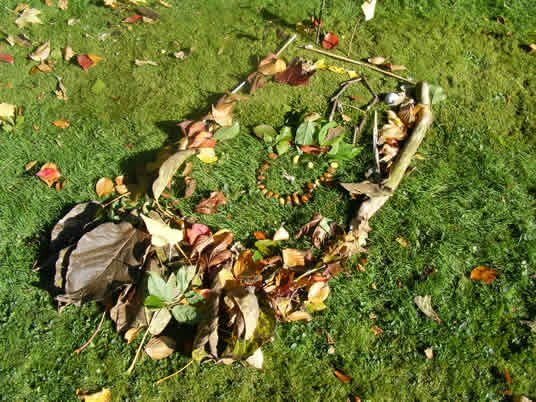 The Cornhill Border Links Group visited recently to enjoy the autumn colours at the Hirsel. 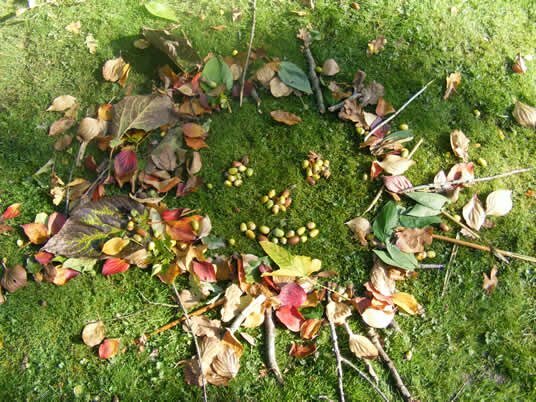 The have been beautiful this year, with berries and nuts abundant. 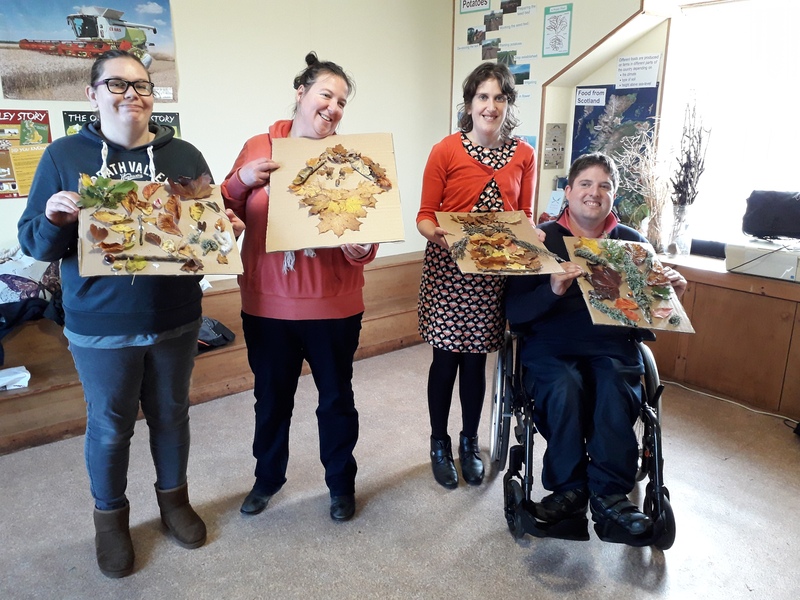 So while out on our walk we collected a variety and put together these wonderful collages. 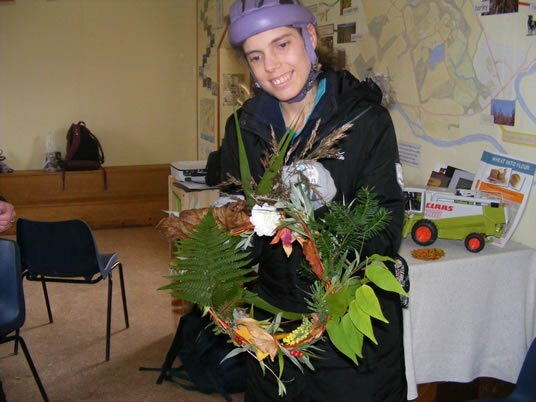 This autumn we didn't content ourselves with hosting just one Estate Day for a High School year group organised by RHET, but ran two consecutive days! 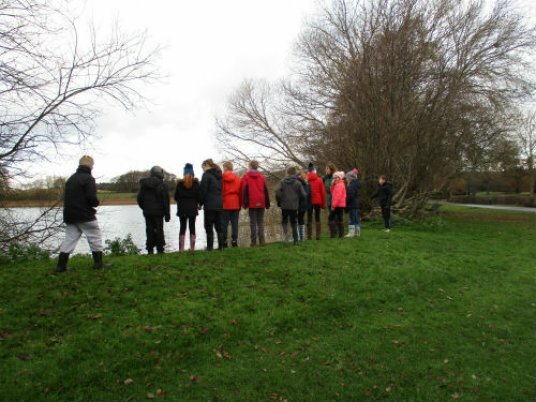 On the first we welcomed around 70 S2 pupils from Jedburgh Grammar School while the following day 120 S3 pupils from the Berwickshire High School took part. 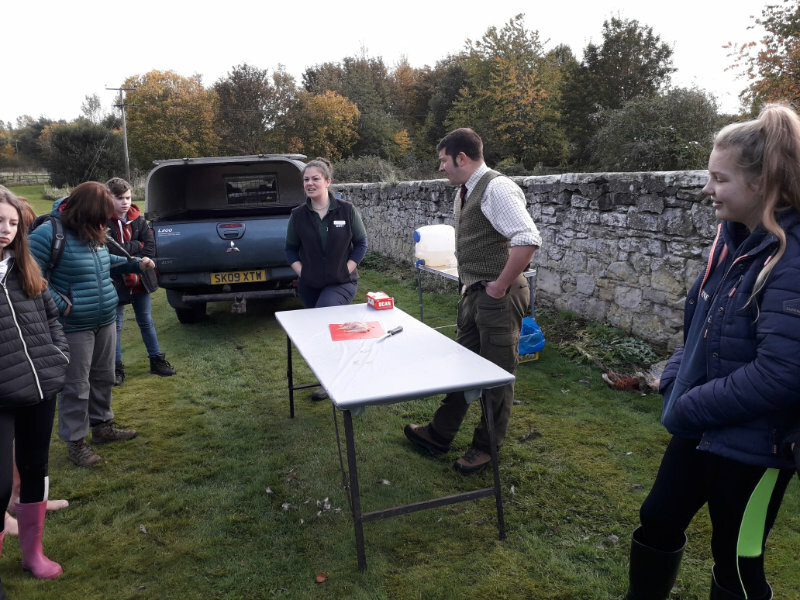 The youngsters explored various aspects of estate life through a forestry workshop provided by Cheviot Trees, a river life session by The Tweed Foundation, Farming provided by Alistair Hodge of RHET, the Douglas Fold of Highland Cattle by Allan Telford, Gamekeeping by Craig Birkett the gamekeeper in which he showed them how to prepare pheasant for the table, and ourselves at Field to Fork baking bread and cooking and tasting the pheasant breasts! 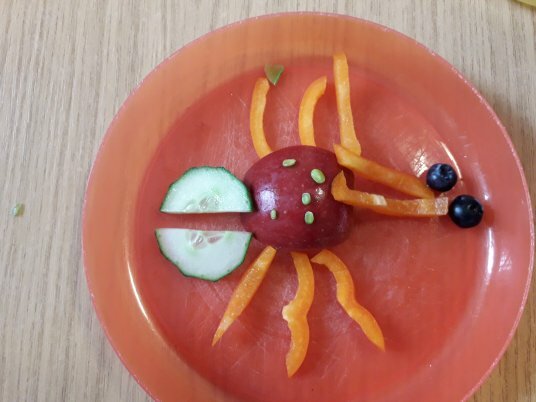 P2 from Coldstream visited recently to explore the world of mini-beasts that was their class topic this term. 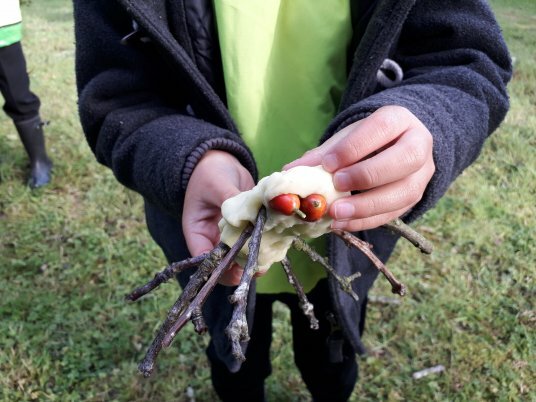 Out in the woods we created our own bugs and beasties from playdoh adding features from what we could find lying around - more pictures in the gallery, and later we made bugs from fruit, which we enjoyed eating, appreciating that without the pollinators we wouldn't have any. 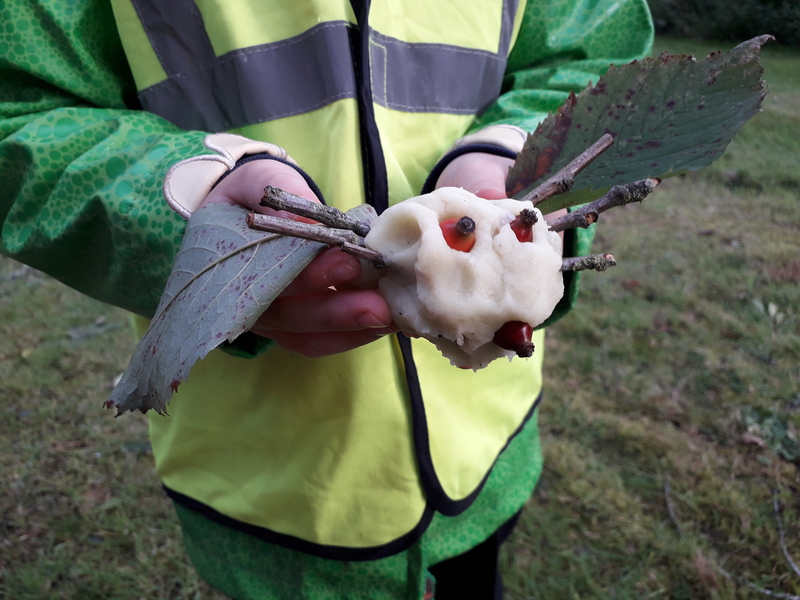 Primary 7 from Edenside made Stuffed Baked Potatoes as they explored getting the balance right between the energy we consume from food and the energy our bodies use. 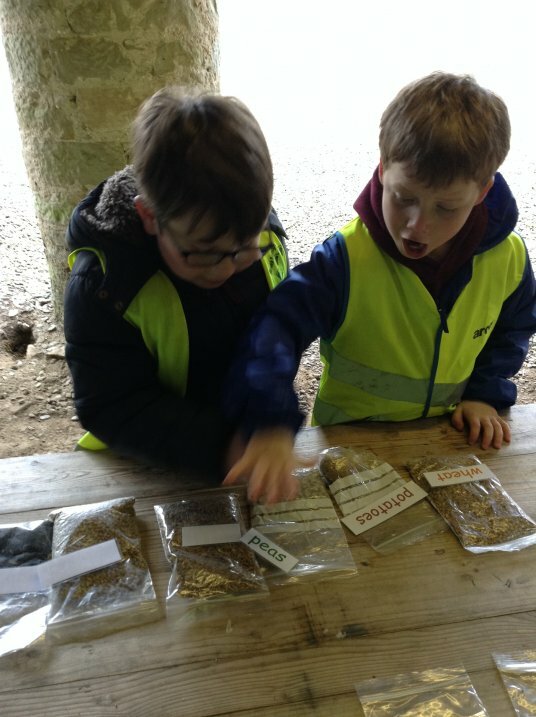 Outdoors they looked at the crops we grow for energy - as carbohydrates and as fuel, and thought about the energy required to grow them. 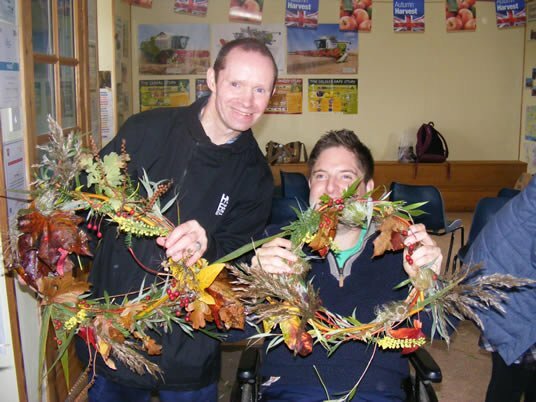 Exploring autumn through our senses was the theme for a visit from Border Links recently. 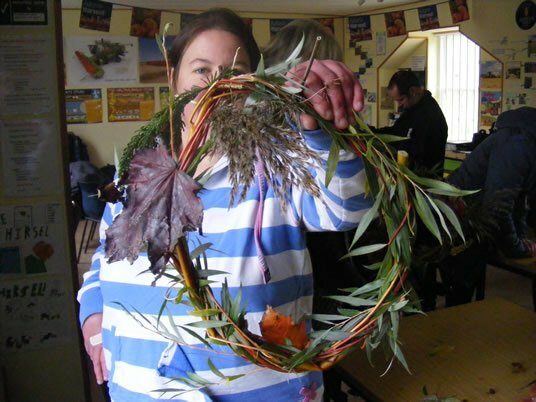 After making up colour cards of the autumn colours we found and tantalised our noses with autumn perfumes or potions, we foraged for textures, shapes and colours which we used to make autumn wreaths - more photos in the gallery. In the afternoon we baked apple scones for a taste of autumn. 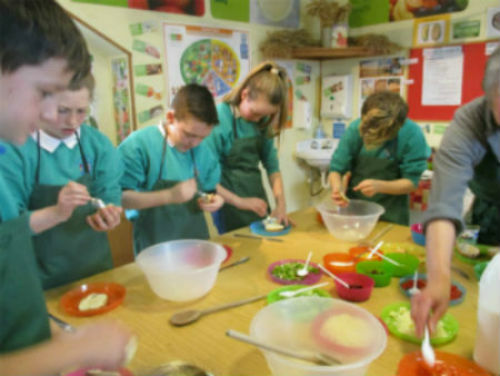 Our Food and Farming days can cover any aspect of food and farming you would like – we are happy to tailor visits to meet your curriculum needs and can fit well with your Health Week or Eco Schools campaign. 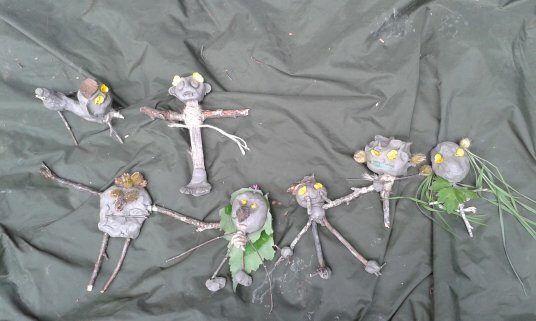 Alongside these we offer In the Wild days. 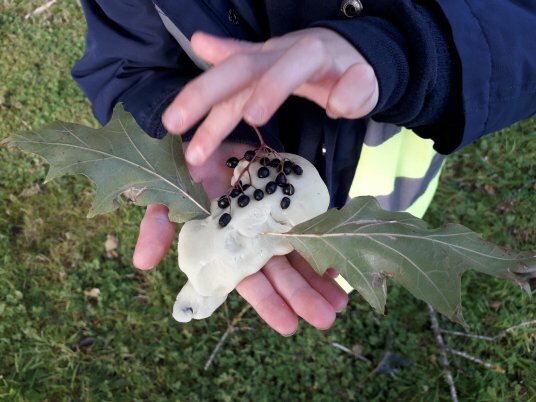 These days might focus on Woodland Habitats, Food Chains, Mini-beasts or Using our Senses Outdoors for example. 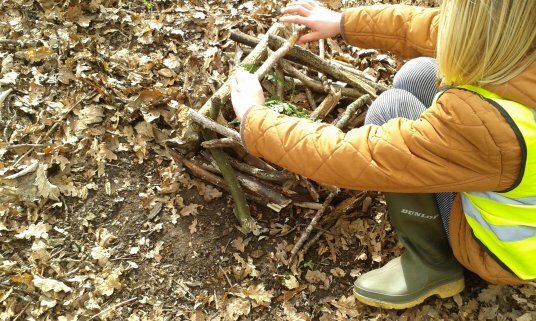 On these visits both sessions will most likely be outdoors ie there is no cooking activity. 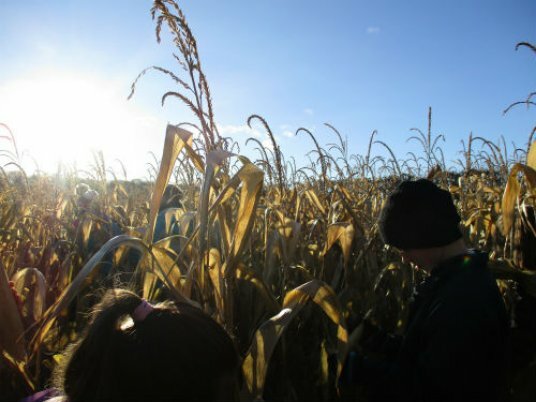 Click here to see a selection of images from both our Food and Farming and In the Wild days.